It doesn't seem like it, but just a year and a few days ago, Google made available the first handset to bear the Nexus name - and what a long way we've come since. When the Nexus One was released, there were cries of "iPhone killer" and of Google entering the handset arena in direct competition with Apple. While the latter assertion remains debatable - the first does not. The Nexus One was a near-total commercial failure next to the iPhone 3GS, and even the original Motorola DROID ate the Nexus One for breakfast in terms of sales. 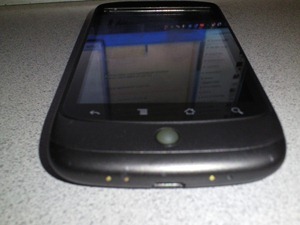 But the Nexus One changed so much about Android, and the design philosophies of the phones that followed it. Way back in May of 2010, Android Police scooped the blogosphere with news of our own Nexus One running Froyo - generating a huge amount of buzz, especially for a device that was a "commercial failure." And yes, that buzz was more about Froyo than the Nexus One, but it was Google's flop of a handset that got the first taste of Android's latest incarnation at the time. The Nexus One spearheaded Android evolution in a way that surely has affected the devices we see on shelves today. 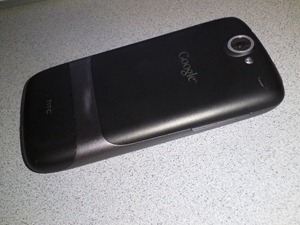 After the release of the Nexus One, no handset manufacturer was about to have their flagship smartphone be bested by a one-off Google-branded device, and so the ante was upped. The EVO 4G offered a front-facing camera, a bigger screen and 4G WiMax speeds. The DROID X offered an even bigger screen, HDMI, a better camera, and Verizon's much-lauded network. Both phones sported 1GHz processors - undoubtedly in direct response to the bar set by the Nexus One. Android handsets began competing with one another. Google's relatively quick release of the Froyo update for (well, at least for T-Mobile) Nexus Ones must have jabbed at the sides of Motorola and HTC. 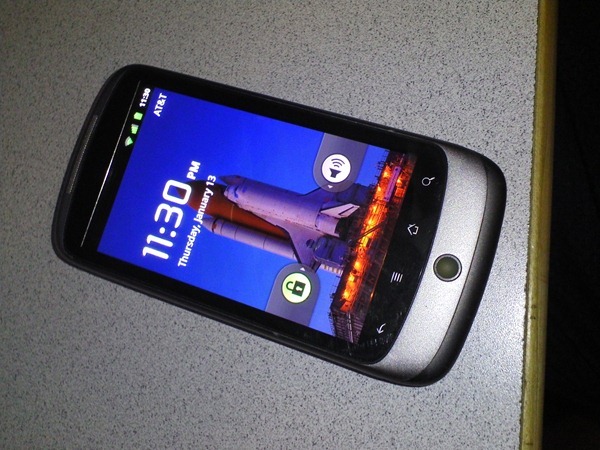 Motorola worked quickly to get Froyo on the DROID X, while HTC did the same for the Incredible and EVO 4G (though, at a markedly slower pace). Even if it took them months, it was a vast improvement over the rate at which smartphone software had been updated in the past - manufacturers and carriers alike had an incentive to get their devices running the most recent version of the Android OS. That is one impression the Nexus One has left on Android, and that impression won't be fading any time soon. Many consumers understand the difference between their phone and the Android OS, and this means manufacturers have two sets of demands to meet regarding their products. This has generally been a good thing - aside from a few bumpy Froyo transitions, the pressure to update Android phones to the newest version of the Android OS has generally (ahem, Samsung...) prodded manufacturers into action. The Nexus S is trying to continue that trend, but in the face of next-generation devices unveiled at CES (and those that will be unveiled at the MWC), manufacturers appear to be slacking off with Gingerbread. Of course, you can't forget the spawning of the "pure" Android handset philosophy - though only the G2 and Nexus S have followed in those footsteps, to date. There's also the easy-root and unlock factor, something no device aside from the aforementioned Nexus S has featured since the Nexus One. 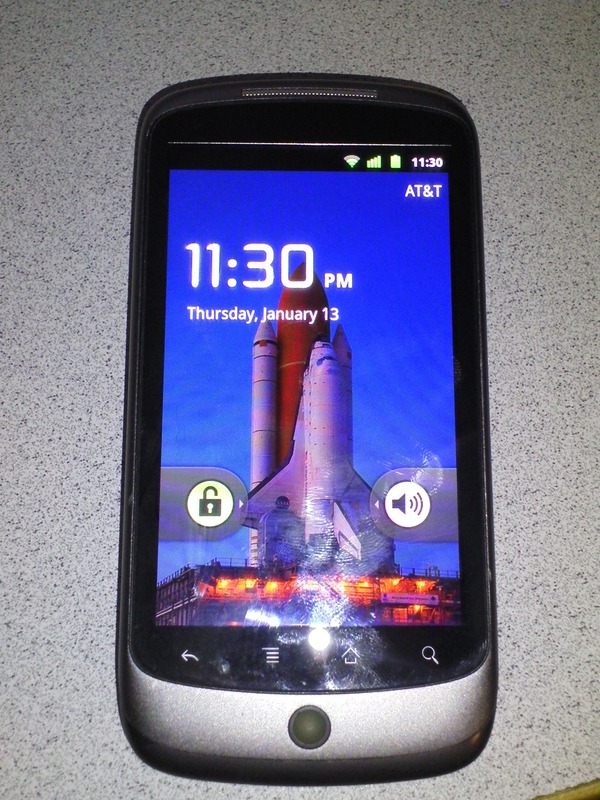 The Nexus One was a unique phone when it was released. 3.7" AMOLED display. Multi-color LED trackball. Capacitive touch buttons. Removable storage, battery, and SIM card. LED camera flash. Micro USB. Rubberized plastic. How many of those things stuck in subsequent devices? After the AMOLED shortage, HTC and Motorola have consistently used SLCD technology for displays, though Samsung's SAMOLED-sporting Galaxy S line of phones remains the king of the hill for visual pleasure among Android phones. The trackball design did eventually fail - debris inside and accidental damage to the trackball have made it seem archaic and unnecessary on an OS designed for touch-based interaction. But the micro USB, LED camera flash, removable battery, rubberized plastic, and capacitive touch buttons have all survived in numerous devices. Granted, many of them are HTC phones, like the Nexus One, but it's fair to say that Google's brain child once again set the bar for consumer expectations in a flagship Android smartphone. When my Nexus One is dead and gone, I'll probably still use the charging cable it shipped with, and the data transfer USB cable as well. While the same could be said for an iPhone 3GS versus and iPhone 4, I can remain cable-compatible between three (or more) very different handset manufacturers on Android. I'll also be able to transfer over (well, hopefully) my handy 16GB SD card to the next phone. Eat that, iPhone users. My Nexus One has been through a lot. Here, let me show you. Correct: I've rubbed straight through the paint on the metal banding along the back of the phone. It ain't pretty - but it works. To date, I've not had to send in my Nexus One for any sort of repair. The only major hardware failure I've had is the atrocious ADATA micro SDHC card I bought shortly after my phone. It just decided to die one day - and ADATA, the kind folks that they are, refused to provide warranty service because I hadn't saved the cardboard packaging containing the serial number of my SD card. Needless to say, I use Kingston now. The light-gray notification bar has permanently yellowed the upper 1/4" of my display - I don't lose any sleep over it. My trackball works fine. Battery life is just as good as the day I bought it. Capacitive touch buttons work great. I've had some weird banding issues on the camera - don't know what that's all about. And for whatever reason, whenever the phone experiences a sudden jolt, it powers off (and I mean very sudden). Call quality is great, and I don't ever find myself wishing I had another phone (aside from a brand-new Nexus One), and that is the hallmark of a great piece of hardware. Is it perfect? Of course not. I experience the same odd touch-screen firmware issues as every other Nexus One user on the planet, as well as the notoriously finicky power button. But none of that really bothers me so much - it doesn't cause me to feel any ill-will towards the phone. Why? Because at the end of the day, I don't see myself picking up any other Android phone and thinking to myself "Wow, this is so much better." That said, I'm getting an Atrix 4G come March. Come on, it is pretty cool.